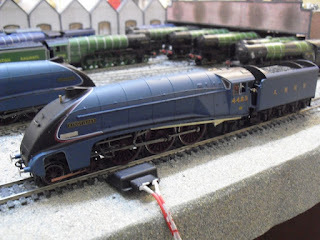 THE BRITISH RAILWAY STORIES LTD: "A4 Conversion Test Etches - Part 2"
For some time I had wondered whether I was always going to be an "also ran". 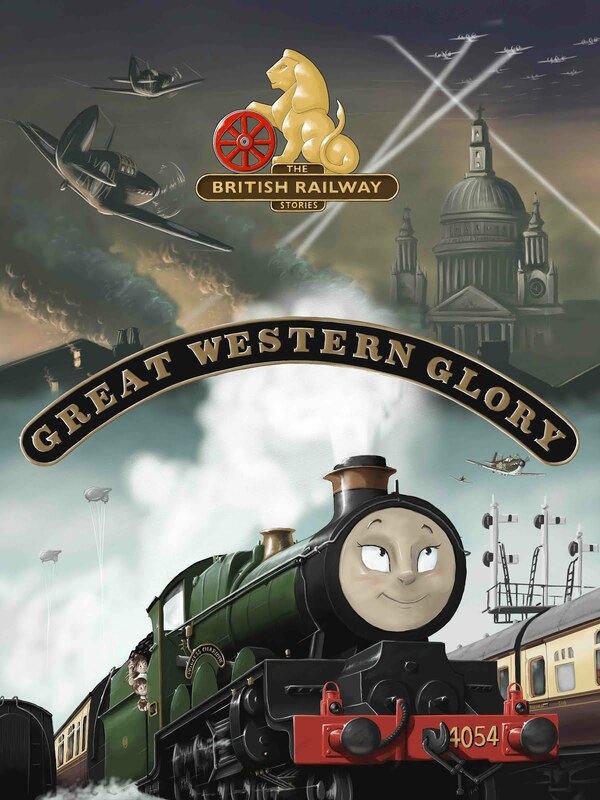 By that, I mean someone who is happy to buy ready to run engines, have kits built for them, even maybe weathered for them, and on occasion produce a diorama of sorts which looks more or less the part - but hasn't challenged himself enough. Always that nagging fear, looking at the sheer depth and breadth of modelling on this forum and elsewhere, that I was never going to be anything more than a tinkerer, so to speak, changing numbers and adding some weathering powders, but nothing much else. 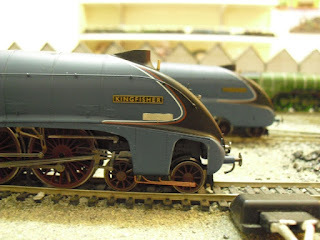 I've always had this fear that I somehow wasn't good enough to call myself a modeller. 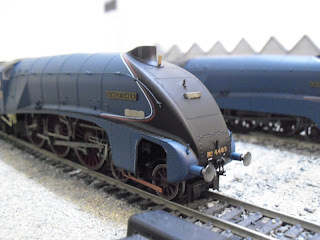 There's been some dire projects I have worked on in years gone by, from when I first started modelling seven years ago (which were good to try, and fail in some cases), and even now I know I am not a good modeller...yet. But I think I can now actually call myself a modeller with this particular project. I haven't felt this satisfied with anything I've done in terms of modelling for a long, long time. The whole trial and error of the A4 conversions has finally yielded some results I am happy with. More than, actually. There's one modification to the etches that needs to be done, but on the whole the whole package is superb. 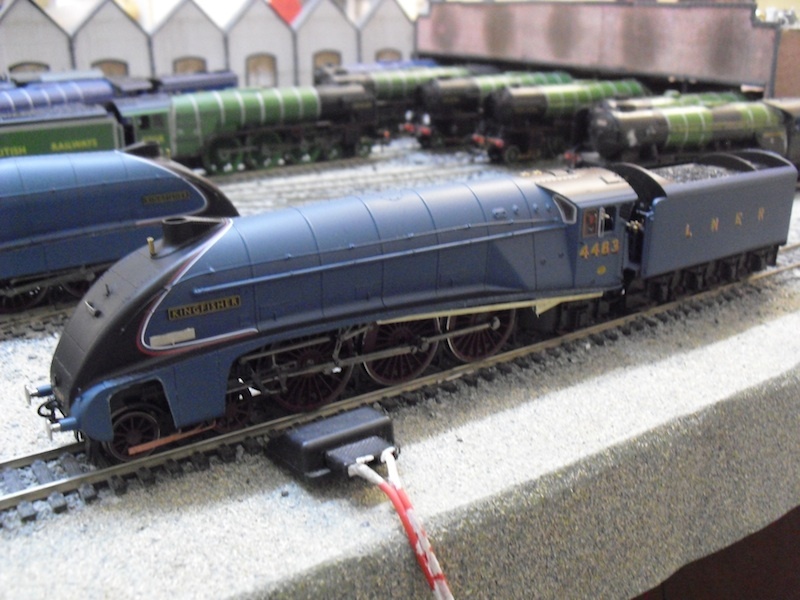 I completed the "de-frocking" of the Hornby Kingfisher this afternoon, adding the rest of the etched parts to complete my 1948/49 based A4 Pacific. 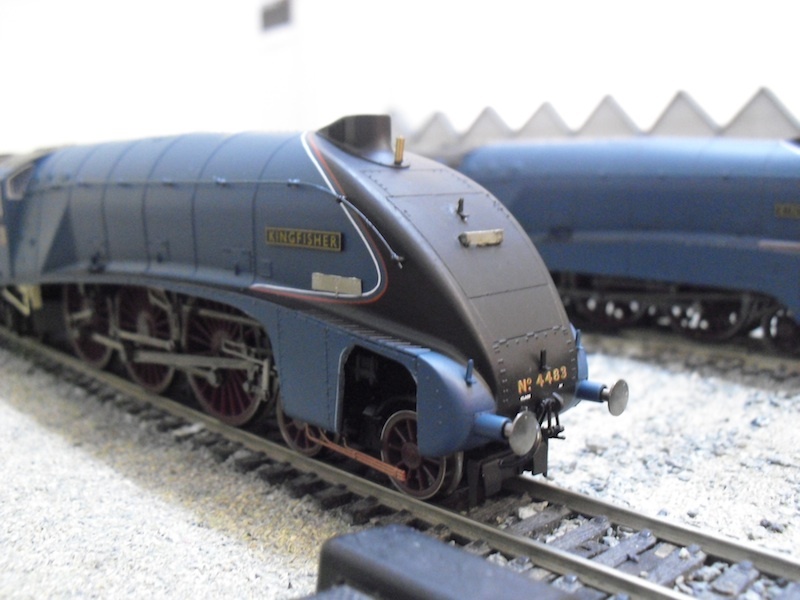 (Incidentally, this conversion kit is also suitable for 1980s era Sir Nigel Gresley or Bittern, if you use a Hornby Mallard model and find an appropriate tender). Seen below is a comparison between the modified and unmodified Kingfisher models. 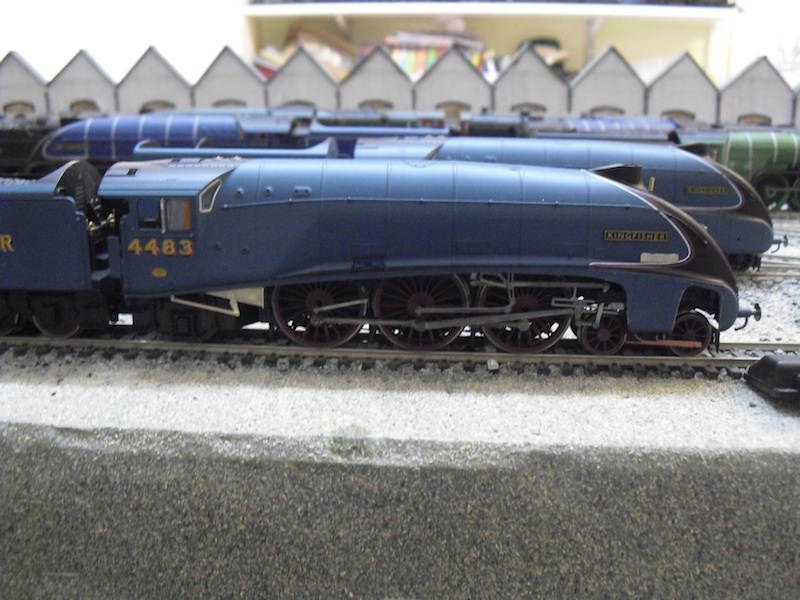 Then there's the next set of etches to add, on the right hand side the lower firebox sides, and on the left hand side, the same again but with the reverser too (Hornby don't include this on the models with valances, understandably, as it simply wouldn't be seen under the valances). It's the reverser to lower firebox arrangement where there needs to be a modification. There is a notch on the left hand side lower firebox bracket for the reverser to go through, but on the etches it is at the bottom, rather than the top, and consequently some modification is required on these etches to allow the reverser to sit in its correct position. A minor discrepancy which didn't take long to sort and also doesn't detract particularly from the quality of the conversion kit. Thanks for reading, enjoy the rest of your weekend.